Amazing podcast! It explores themes of great importance and has offered much learning in a very interesting way. Outstanding series, detailed, compelling and so educational. Scene on Radio is a Peabody-nominated podcast that dives deeply into issues central to American society, exploring who we were and who we are. Recent many-part series include Seeing White, looking at the roots and meaning of white supremacy, and *MEN, *exploring the past and present of sexism and patriarchy. Produced and hosted by John Biewen, Scene on Radio comes from the Center for Documentary Studies at Duke University (CDS) and is distributed by PRX. “How attached are you to the idea of being white?” Chenjerai Kumanyika puts that question to host John Biewen, as they revisit an unfinished conversation from a previous episode. Part 7 of our series, Seeing White. When it comes to America’s racial sins, past and present, a lot of us see people in one region of the country as guiltier than the rest. Host John Biewen spoke with some white Southern friends about that tendency. Part Six of our ongoing series, Seeing White. With recurring guest, Chenjerai Kumanyika. Shannon Sullivan’s books, Revealing Whiteness and Good White People. Thanks to Chris Julin, whose 1991 NPR report on the Wisconsin fishing rights dispute we featured. Growing up in Mankato, Minnesota, John Biewen heard next to nothing about the town’s most important historical event. In 1862, Mankato was the site of the largest mass execution in U.S. history – the hanging of 38 Dakota warriors – following one of the major wars between Plains Indians and settlers. In this documentary, originally produced for This American Life, John goes back to Minnesota to explore what happened, and why Minnesotans didn’t talk about it afterwards. During Scene On Radio's hiatus between seasons—as we get to work on Season Four—we’re re-posting our Season Two series from 2017, Seeing White. If you’ve already listened, you can always listen again, or just tell several friends about it. As always, thanks for listening. In this episode, an introduction to our series exploring what it means to be White. By John Biewen, with special guest Chenjerai Kumanyika. Music by Alex Weston, and by Evgueni and Sacha Galperine. Music and production help from Joe Augustine of Narrative Music. Writer Ben James and his wife Oona are raising their sons in a progressive and “queer-friendly” New England town. They actively encourage the boys to be themselves, never mind those traditional gender norms around “masculinity” and “femininity.” All was well. Until the elder son, Huck, went to sixth grade. Story by Ben James, with hosts Celeste Headlee and John Biewen, and psychologist Terrence Real. Music by Alex Weston, Evgueni and Sacha Galperine, Blue Dot Sessions, and Kevin MacLeod. Music and production help from Joe Augustine at Narrative Music. Lewis Wallace, female-assigned at birth, wanted to transition in the direction of maleness—in some ways. He shifted his pronouns, had surgery, starting taking testosterone. None of that meant he wanted to embrace everything that our culture associates with “masculinity.” Story written and reported by Lewis Wallace, with co-hosts John Biewen and Celeste Headlee. MacLeod. Music and production help from Joe Augustine at Narrative Music. Music by Alex Weston, Evgueni and Sacha Galperine. Music and production help from Joe Augustine at Narrative Music. Several years after Janey was sexually assaulted by her former boyfriend, Mathew, she told some of her closest friends, and her mother, what Mathew had done. Janey was so troubled by her loved ones’ responses, or lack thereof, that she went back to them years later to record conversations about it all. In this episode: Janey’s story, and philosopher Kate Manne, who coined the term “himpathy” in her 2017 book, *Down Girl: The Logic of Misogyny. *With co-hosts John Biewen and Celeste Headlee. To hear more of Janey Williams’ story and the conversations she had with friends, check out her podcast, "This Happened", available on most podcast apps and at thishappenedpodcast.com. Do nations fight wars because men are naturally violent? Or do societies condition men to embrace violence so they’ll fight the nation’s wars? Along with co-hosts John Biewen and Celeste Headlee, this episode features reporting by Barry Lam of the Hi-Phi Nation podcast, with scholars Joshua Goldstein of American University, Tom Digby of Springfield College, and Graham Parsons of the United States Military Academy, aka West Point. Music by Alex Weston, and Evgueni and Sacha Galperine. Music and production help from Joe Augustine at Narrative Music. Song fragment, “Men,” by Loudon Wainwright III. Music by Alex Weston, and by Evgueni and Sacha Galperine. Music and production help from Joe Augustine at Narrative Music. A few hundred years ago, the great thinkers of the Enlightenment began to declare that “all men are created equal.” Some of them said that notion should include women, too. Why did those feminists—most of them men, by the way—lose the fight? How did the patriarchy survive the Enlightenment? Co-hosts John Biewen and Celeste Headlee look into these questions, with historians Londa Schiebinger of Stanford and Toby Ditz of Johns Hopkins, and sociologist Lisa Wade of Occidental College. For millennia, Western culture (and most other cultures) declared that men and women were different sorts of humans—and, by the way, men were better. Is that claim not only wrong but straight-up backwards? Co-hosts Celeste Headlee and John Biewen explore the current state of the nature-nurture gender debate, with help from Lisa Wade of Occidental College and Mel Konner of Emory University. Music and production help from Joe Augustine at Narrative Music. Launching our Season 3 series, co-hosts John Biewen and Celeste Headlee look at the problems of male supremacy. And we visit Deep Time to explore the latest scholarship on how, when, and why men invented patriarchy. Featuring Meg Conkey of UC-Berkeley, Mel Konner of Emory University, and Lisa Wade of Occidental College. Scene on Radio opens its Season 3 series, MEN, with this preview. Host John Biewen introduces the series with series co-host Celeste Headlee. Music Evgueni and Sacha Galperine. Theme music by Alex Weston. Music and production help from Joe Augustine at Narrative Music. The concluding episode in our series, Seeing White. An exploration of solutions and responses to America’s deep history of white supremacy by host John Biewen, with Chenjerai Kumanyika, Robin DiAngelo, and William “Sandy” Darity, Jr. When it comes to U.S. government programs and support earmarked for the benefit of particular racial groups, history is clear. White folks have received most of the goodies. By John Biewen, with Deena Hayes-Greene of the Racial Equity Institute and recurring series partner Chenjerai Kumanyika. For Eddie Wise, owning a hog farm was a lifelong dream. In middle age, he and his wife, Dorothy, finally got a farm of their own. But they say that over the next twenty-five years, the U.S. government discriminated against them because of their race, and finally drove them off the land. Their story, by John Biewen, was produced in collaboration with Reveal. For years, Myra Greene had explored blackness through her photography, often in self-portraits. She wondered, what would it mean to take pictures of whiteness? For her friends, what was it like to be photographed because you’re white? With another conversation between host John Biewen and series collaborator Chenjerai Kumanyika. For hundreds of years, the white-dominated American culture has raised the specter of the dangerous, violent black man. Host John Biewen tells the story of a confrontation with an African American teenager. Then he and recurring guest Chenjerai Kumanyika discuss that longstanding image – and its neglected flipside: white-on-black violence. The story of Bhagat Singh Thind, and also of Takao Ozawa – Asian immigrants who, in the 1920s, sought to convince the U.S. Supreme Court that they were white in order to gain American citizenship. Thind’s “bargain with white supremacy,” and the deeply revealing results. The history of Corbin as presented by the Corbin city government, with no mention of the 1919 racial expulsion. Scientists weren’t the first to divide humanity along racial – and and racist – lines. But for hundreds of years, racial scientists claimed to provide proof for those racist hierarchies – and some still do. Image: A lynching on Clarkson Street, New York City, during the Draft Riots of 1863. Credit: Greenwich Village Society of Historical Preservation. Photo: The Monument to the Discoveries, Lisbon, Portugal. The highlighted figure in the center is an effigy of Gomes Eanes de Zurara. The figure at the top right is Prince Henry the Navigator. Photo by Harvey Barrison. Facts can be ignored by the powers that be and still ignite a movement. An interview with Tim Tyson, author of the new book, The Blood of Emmett Till. Tyson was the first historian or journalist to interview the former Carolyn Bryant, the woman in whose name Emmett Till was murdered in 1955. There’s a long and painful history in the U.S. of white men killing black men and boys without punishment. In this episode, we listen in on “Dar He,” the one-man play by Mike Wiley that brings to life the story of Emmett Till. The last in our series exploring the spirit of America in the footsteps of one of its greatest writers, John Steinbeck. At key spots on Steinbeck’s 1960 journey across the country, we team up with artists to explore how things have changed, or not, and to talk back to Steinbeck across the years. In this episode, visits with theater director Troy Nickerson in Spokane, Washington, and poet Diana Garcia in Monterey, California. The second in a three-part series, journeying into the soul of America through the eyes of artists, while following in the footsteps of Nobel Prize-winning writer John Steinbeck who drove across the country in 1960 for his iconic book, Travels with Charley. In this episode, photographer Wayne Gudmundson in eastern North Dakota, and Yurok basket weaver Susan “Tweet” Burdick in Humboldt County, California. Produced by John Biewen. First in a three-part journey into the soul of America, through the eyes of working people who happen to be artists. In this episode, David Slater in Sag Harbor, New York, and Kalamu ya Salaam in New Orleans. Retracing the 1960 journey by writer John Steinbeck for his book, “Travels with Charley in Search of America.” Produced by John Biewen. Siler City, North Carolina used to be a typical Southern town. Everybody was white or black. Now the town’s population is half Latino. One community’s journey through the “five stages of grief” – all the way to acceptance? By John Biewen and Tennessee Watson. Music by Blue Dot Sessions and Lucas Biewen. 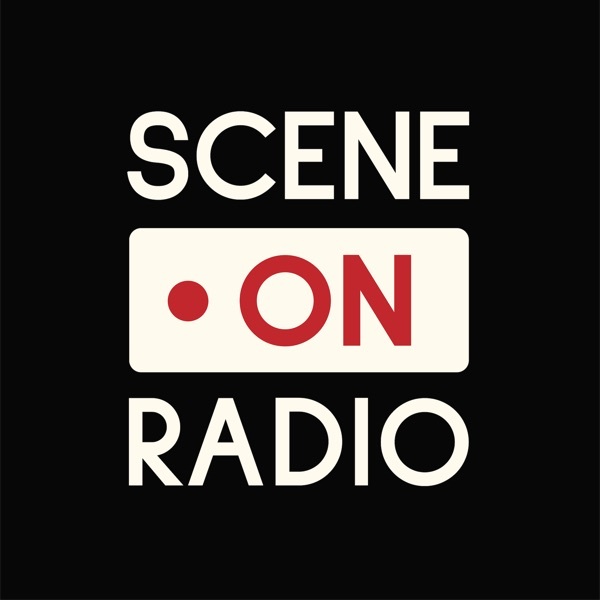 Scene on Radio is a podcast that asks, How’s it going out there? And leaves the studio to find out, capturing the sounds of life happening and telling stories that explore human experience and American society. The last installment in our Storymakers series. Four pieces by citizen storytellers on living together, and apart, in Durham, North Carolina. By Vimala Rajendran, Chip and Teddy Denton, Courtney Reid-Eaton, and Nia Wilson. More from our team of citizen storytellers in Durham, NC. Stories by Courtney Smith, Katt Ryce, and Kimani Hall, exploring the things that unite and divide people in Durham and in America. Part of Storymakers: Durham, a project of the national Localore: #FindingAmerica initiative. Three stories conceived and made by citizen storytellers Jamila Davenport, Roberto Nava, and Debby Bussel explore race, class, and gentrification in Durham, North Carolina. Part of Storymakers: Durham, a project of the national Localore: #FindingAmerica initiative. Can stories help to bring a community together? How about radio stories, conceived and made by citizen storytellers? Introducing Storymakers: Durham, a project of the national Localore: #FindingAmerica initiative. The word “Hiroshima” may bring to mind a black-and-white image of a mushroom cloud. It’s easy to forget that it’s an actual city with a million people and a popular baseball team. How did the cataclysm of 1945 reverberate in the place where it happened? Hearing Hiroshima is a production of Minnesota Public Radio, from American Public Media. It can take a lifetime to make sense of a parent, or to get over him. Or, just maybe, to come to terms. By Ruxandra Guidi. The people we love have power—the power to upend our lives, or at least to make things interesting. Two stories of surprises, curveballs thrown by family members. Pieces by Qathi Hart and John Rash. A quartet of very short works exploring memory – most inspired by Third Coast Audio Festival ShortDoc Challenges. Pieces by Ligaiya Romero, Madeline Miller, Nan Pincus, and John Biewen. A punk farmer. A tale of rogue chickens on the loose in the city. A pair of refreshing takes on the whole Food thing, in and around Durham, NC. Pieces by Emily Hilliard and Joseph Decosimo. A refugee from Bosnia. An NYC-born survivor who grew up poor, black, Muslim, and gay. And how one, and her music, saved the other. People in two communities – one in Alaska, one in New York State – wrestle with questions about energy and the environment. We listen in on democracy close to home. Stories by John Biewen and Jon Miller, edited by Deb George. A South Sudanese refugee and the music that cuts his heart to pieces. Thelonious Monk’s North Carolina roots. Music and home. Pieces by Nusaibah Kofar-Naisa and John Biewen. It happens. A happy, healthy young person suddenly gets a grave diagnosis. What does not usually happen: The patient rolls tape. By Ibby Caputo. It waits for us all. A lot of people want to think about death as little as possible. Others want to dive right in and explore the mystery. Two short docs on the Big D.
Music can be a powerful gift – if you get the song right, or the right song. Two stories from North Carolina. The surest way for a woman to declare herself a Muslim is to wear the head scarf — the hijab. In these two short pieces, young Muslim women explore the often unwelcome questions and perceptions that come with the scarf, and the deeply personal decision to wear it. Short documentaries by Reem Alfahad and Sofiya Volubuyeva. Tens of millions of Americans, most of them men, tune in to sports talk radio. Is sports talk a haven for old-school guy talk, including misogyny and gay-bashing? For the final episode in our series on sports and society, “Contested,” host John Biewen listened in. Two families, both making big investments of time and money to involve their kids in sports. But the investments they’re able to make are very different. In Part 5 of “Contested,” our series on sports, society and culture: Sports and the American Dream. Tal Ben-Artzi didn’t worry about being an out bisexual athlete at Penn State. Maybe she would have if she’d known the school’s history. How much have times changed? In Part 4 of “Contested,” our series on sports, society and culture: stories of LGBTQ women athletes, past and present. Two small towns, one in Idaho, the other in Upstate New York, try to decide whether to change the nickname of their high school sports teams: The Redskins. More from suburban St. Louis, post-Ferguson, on the popular notion that sports unites communities. Can the camaraderie of a team sport make race and class status “disappear” for the kids involved or their parents? Scene on Radio host and producer John Biewen hangs with a girls’ high school basketball team to test the idea. Scene on Radio comes from the Center for Documentary Studies at Duke University. Can a winning baseball team bring St. Louis together post-Ferguson? John Biewen explores the question in the inaugural episode of Scene On Radio, a new podcast of audio stories from the Center for Documentary Studies at Duke University.